For Matrix Revolutions, Tippett Studio constructed a blasted, post-apocalyptic world that required environment-building on a huge scale. Our team collaborated closely with John Gaeta, VFX Designer for the franchise, to create everything from the scorched terrain to the lightning-streaked skies. The team incorporated digital matte paintings with 3D geometry to produce digital cycloramas that would serve as the Machine City background as well as the clear blue sky above the dark and polluted clouds. The only live action in the six-minute sequence in which Neo and Trinity journey to Machine City is the practical cockpit with the actors shot against green screen. In addition to the environments, our artists created ambitious effects for Neo’s X-ray-like perspective, called Neo-Vision. Animators and compositors skillfully wove together images of the human nervous system with long exposure times and time-lapse techniques to create the ethereal effects for Neo-Vision. 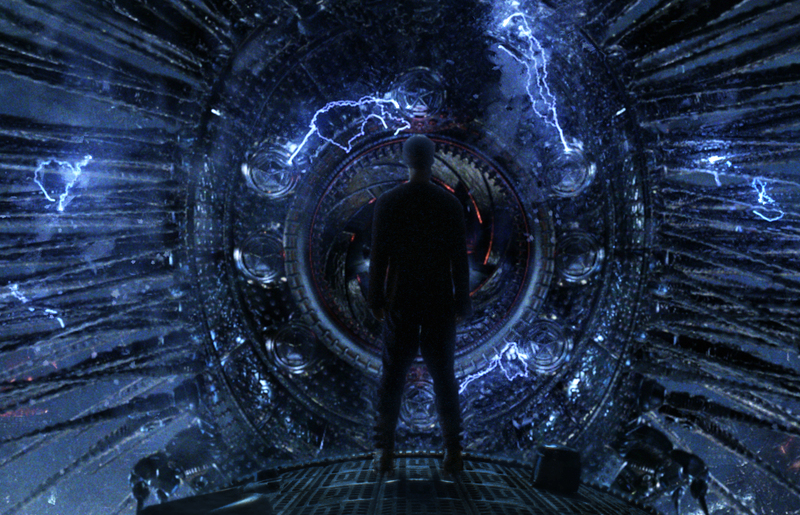 Tippett’s work on Matrix Revolutions was nominated for a Visual Effects Society award in the category of Outstanding Visual Effects in a Visual Effects-Driven Motion Picture.